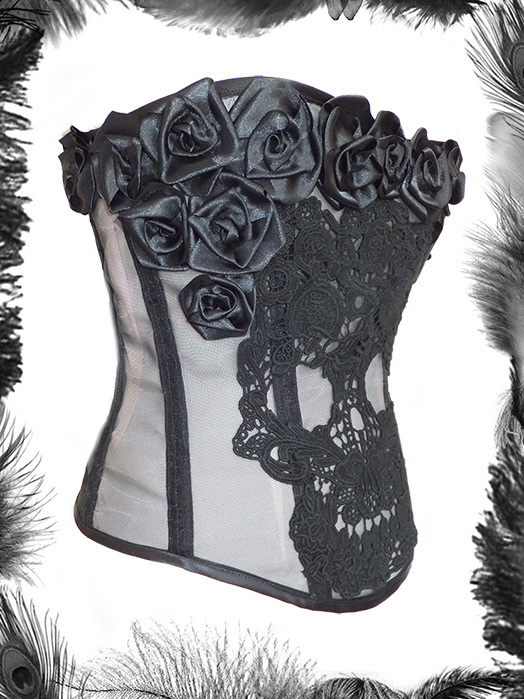 Mesh Corset with Lace Skull & Satin Roses Trim. Strong, Full Steel Boning at seams- 12 flat steel bones. Spiral boning can be used on request. Not meant for tight lacing. Made to measure. 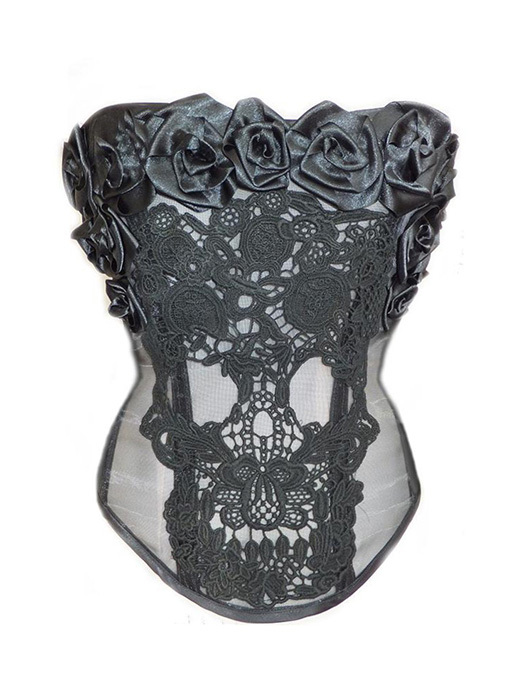 Please select the measurements you require for the closed corset. Choose a waist size 2-3 inches smaller than your natural waist, hips 1-2 inches smaller than your natual hips and underbust must only be your natural measurement.